<!-Eric Gill. 1882-1940--> Eric Gill.Stag. 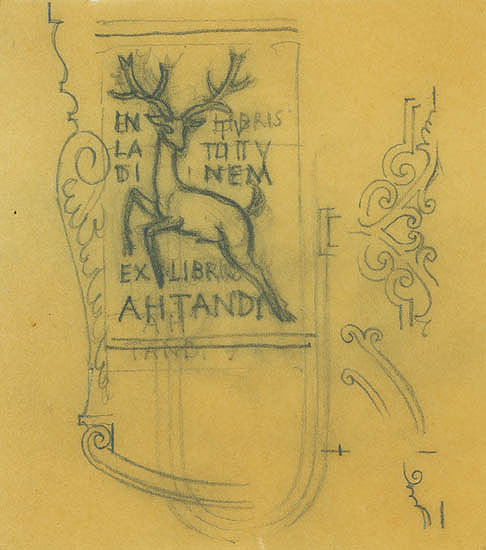 Bookplate for A.H.Tandy: A Stag. 1939. Pencil study for the wood engraving. Physick 839. 5 x 3 3/4 (sheet 5 7/16 x 4 15/16). Unsigned. $3,500.